Building integration of photovoltaic (BIPV) has been anticipated as a “market boom” for many years, but, in practice, none of the predictions has hit the market, mainly because of the cost adds-on as compared to conventional PV. But further barriers have to be overcome in order to achieve a larger BIPV deployment. These include some technological oriented aspects, such as the reliability with time and hence definition of new standards of such products where the PV components must be considered as a building elements. Furthermore, social factors also play a role, as architects, investors and home-owners are not yet always aware of the availability of such products or afraid by possible maintenance issues. All these aspects strongly limit the deployment of BIPV, despite an advantageous versatility with BIPV products extending from rigid to flexible, from colored to semi-transparent, and even customized-sized elements. The main goal of this project is to investigate the major reasons and obstacles to a massive PV integration and to propose possible solutions. For this purpose, this project will (i) offer a better understanding of the failures and success of past and present BIPV solutions, in terms of technological choice, cost potential and acceptance; (ii) analyze BIPV solutions that have the potential to reach sufficient acceptance, (iii) propose a new methodology for the development of BIPV products, including a global failure model for the PV parts and (iv) demonstrate a next generation of BIPV products that satisfy manufacturability and low ecological footprint, with the potential of providing a substantial part of the Swiss electricity while generating an industrial value. Furthermore, practical cases will be assessed on sets of selected buildings in Neuchâtel. Urban and architectural design is an important part of the necessary evolution towards the large-scale advanced implementation of building-integrated photovoltaics (BIPV) into urban renewal processes. A key factor is finding a qualitative and quantitative way to link BIPV with the future renewal of the considerable existing building stock in the next decades. 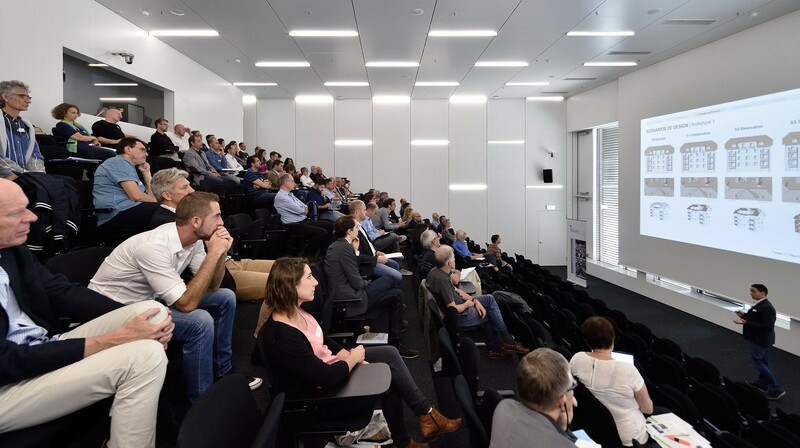 In that perspective, the main objectives of the subproject are to cross over the limits of the current practice and to develop a holistic strategy for BIPV-adapted solutions in urban renewal design processes in the Swiss context. In this respect, this project will contribute to significantly advance the architectural practice in the manner of addressing BIPV in urban renewal projects. By assuring the integration of applications-tests carried out on representative case studies in the City of Neuchâtel, this project will offer an attractive link between the development of industrial elements and the generation of operational knowledge directly integrated into new adapted solutions. It represents a strategic potential in terms of transferability and will have positive repercussions for the urban, architectural and constructive design practices. 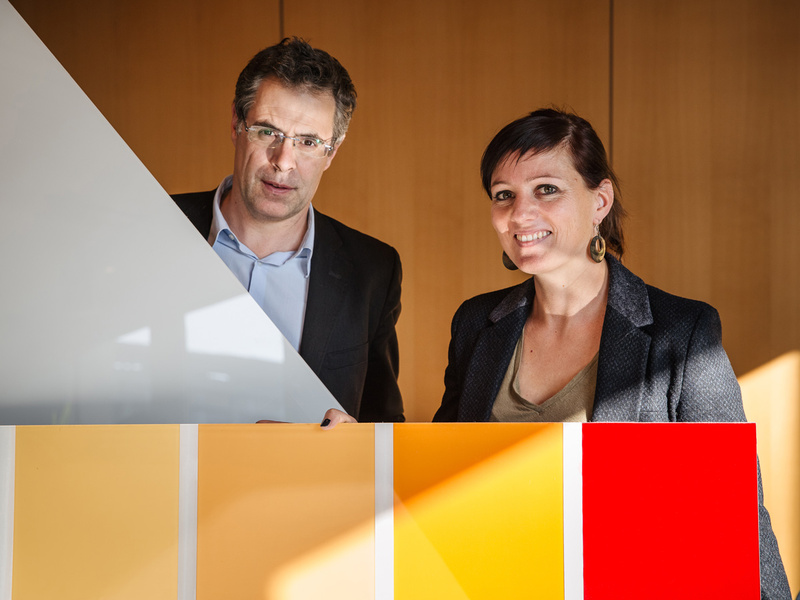 Increasing the share of new renewable energy sources, especially solar photovoltaics (PV), is an important pillar of the Swiss Energy Strategy 2050. 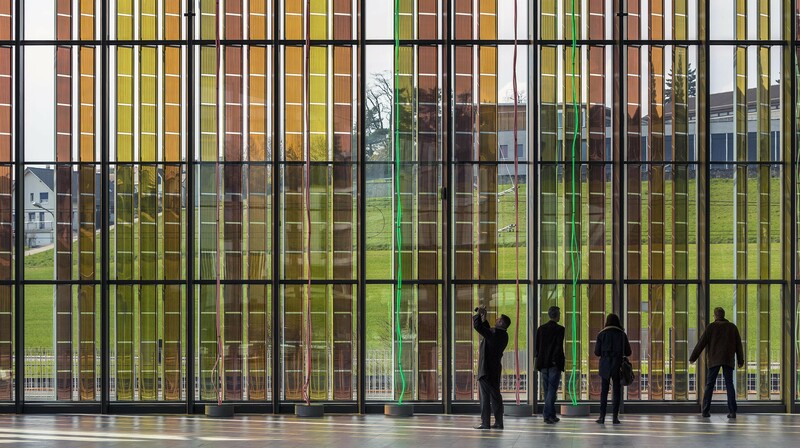 Compared to traditional rack-mounted PV and greenfield installations, building-integrated PV (BIPV) has a number of advantages with regard to aesthetics, social acceptance and potentially cost. However, diffusion of BIPV has remained at low levels so far. In order to understand the problem and develop valid solutions, this project will focus on non-technical barriers to BIPV adoption. Qualitative and quantitative empirical research with actual and potential BIPV customers and investors, as well as key stakeholders, will identify attitudes and challenges as they are perceived by central actors in the diffusion process. The project also entails an innovative interdisciplinary collaboration between academics from management science, law, architecture and electrical engineering, leading to a high potential for a holistic problem understanding and new solutions. As a result, policy makers, businesses and other stakeholders will be informed about key barriers to market penetration of BIPV and ways to overcome them. The topic of this project is Building Integrated Photovoltaics (BIPV) or more specifically the development of a holistic strategy to simplify standards, assessments and certifications for BIPV. PV is technologically mature and has become much more affordable, but its application into the built environment is still far behind its potential, mainly for two reasons. First, BIPV is not qualified as a regular building product lacking relevant architectural, e.g. visual, thermal, mechanical and environmental impacts, resulting in little acceptance by the building profession. Second, BIPV is not integrated into the energy management of the building. It merely uses the envelope as a mounting ground and its electricity production is optimized for feeding peak power into the utility grid and not for self-consumption. 1) A set of scenarios with identified barriers and proposed promoters affecting BIPV implementations for the years 2014, 2015 and 2015+, including standards, assessments, certifications, life-cycle inventories and policies. 2) Assessments for BIPV designs variants developed in the scope of subproject 02 for six archetypal situations. 3) Detailed assessments for three case studies with detailed blueprints for real buildings as best practice examples of the BIPV designs. 4) Final set of proposed criteria for further developed BIPV standards, assessments, certifications, life-cycle inventories and policies for submission to relevant authorities and a working group with stakeholder to intensify implementation in Switzerland. Building-integrated photovoltaic systems (BIPV) could be a high growth market with high impact for the economy and the "Energy turnaround". A better understanding of the technology acceptance and of the needs of the market is required for the design of optimised solutions and to ensure efficient knowledge and technology transfer. Value proposition breakdown along the value chain is essential to guarantee benefits for each actors. 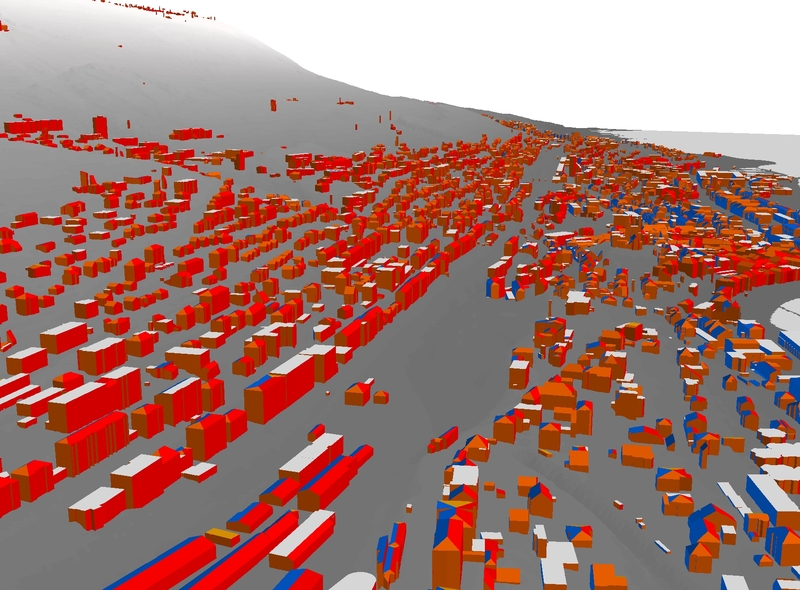 The research will focus on the systems studied and developed in the joint project, in the context of urban renewal in general and applied to the City of Neuchâtel. Once realistic and promising value propositions will be assessed for the key market segments and technologies, the project will focus on the design and implementation of communication and knowledge transfer tools.